← Does Hard Luxury Need To Redefine Itself? Or Is There An Easier Solution? Despite the headlines, China remains an economic powerhouse and key market for luxury marketers, and if fact, in North America, real estate is seeing an uptick as both a safe haven and as more wealthy Chinese send their kids to high school in addition to college. Figuring out how to capture your fair share of the Chinese traveler market is more critical now than ever. 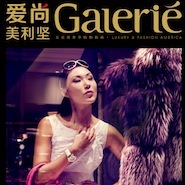 Thus China continues to be an important market for luxury brands, as Chinese focus luxury shopping around their travel. The core of this spending comes from the repeat Chinese traveler. It is a market that Essentially America has been tapping into successfully since 2012. In November, a new luxury platform is being added to this successful model.